When you are considering buying a home, the first step you should take before looking for your dream house is getting pre-approved for a mortgage. Find out if you qualify for a loan, and for what type of loan and mortgage rate you qualify for. A lender will review all your financial data to see if you qualify to buy a house. The variables a lender is examining are your income, debt, credit and savings. The most important of this is your income. Not only your gross monthly income has to be reviewed but also the type of work and the lengths of employment. If your income is based on a commission your income will often be examined on a required two-year history. In case you are self-employed, you must be self-employed for two years. Your income will be determined based on your federal tax return after all the deductions. Your credit score affects your mortgage rate. Most lenders use a credit score designed by Fair Isaac Corporation (FICO). As a borrower you should access your credit report and ensure that your credit score is as strong as possible. Scores range from 300 – 850. A score below 620 is considered sub-prime and indicates high-risk to lenders and would cause in a charge of higher rates and fewer choices of loans, 620 to 650 is good but you may still be viewed as a high-risk candidate, and above 720 is seen as excellent credit. To qualify for the best mortgage rates and to have more loan choices you should at least have a score of 720. The Fair Credit Reporting Act (FCRA) requires each of the nationwide consumer reporting companies to one free credit report from all three major credit reporting bureaus – TransUnion, Equifax, and Experian – for every consumer every 12 months (visit annualcreditreport.com to order your free report). Make sure that your credit history is accurate and request the reports from each company and check if there are any errors. There are two calculations a lender uses. The first or front mortgage ratio, are your total monthly housing expenses to income ratio. Which include principle, interest, taxes, and insurance (PITI). The second or back mortgage ratio is your total housing expense (PITI) plus all other monthly debt divided by your gross monthly income. Which is your income before taxes are taken out. 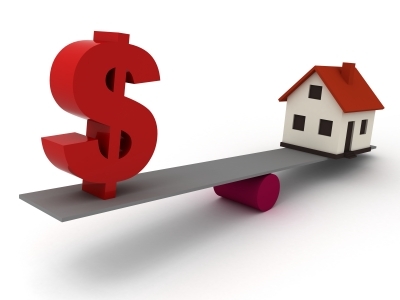 Mortgage debt to income is the ratio a lender uses to calculate if you qualify for a mortgage. A house payment should not exceed about 30 % of your gross monthly income for a conventional loan. How to prepare in advance to get approved? Since the most important factor is income, you should have a verifiable source of income. Get your finances in order. Pay your debt on time, which includes all your loans, leases and credit cards. Loans can be paid off to qualify for a mortgage, but credit cards sometimes cannot, depending on the lender. You should check your credit report for errors and monitor your credit score. How to find the right lender or bank? Do you know what you should be looking for in a lender or bank? On of the most common criteria when it comes to choosing the right lender or bank are credibility, dependability, and longevity in the marketplace. When you are like most people you probably ask someone you trust for a recommendation. But when it comes to your mortgage, you should always consider that your situation might be different from your friend’s situation. Therefore always consider that you should find a lender or a bank that fits your needs the best. Visit our website for more information about buying a home visit. I am really inspired along with your writing talents and also with the format in your weblog. Is that this a paid theme or did you modify it your self? Either way stay up the nice high quality writing, it is rare to peer a nice weblog like this one today..
Well done…again. Nice work amsires.